General requirements: Intel ARM-206 SA1110 (Compaq iPAQ, HP Jornada 56x, Casio E-200, MobilePro P300, Pocket PC e570, etc. 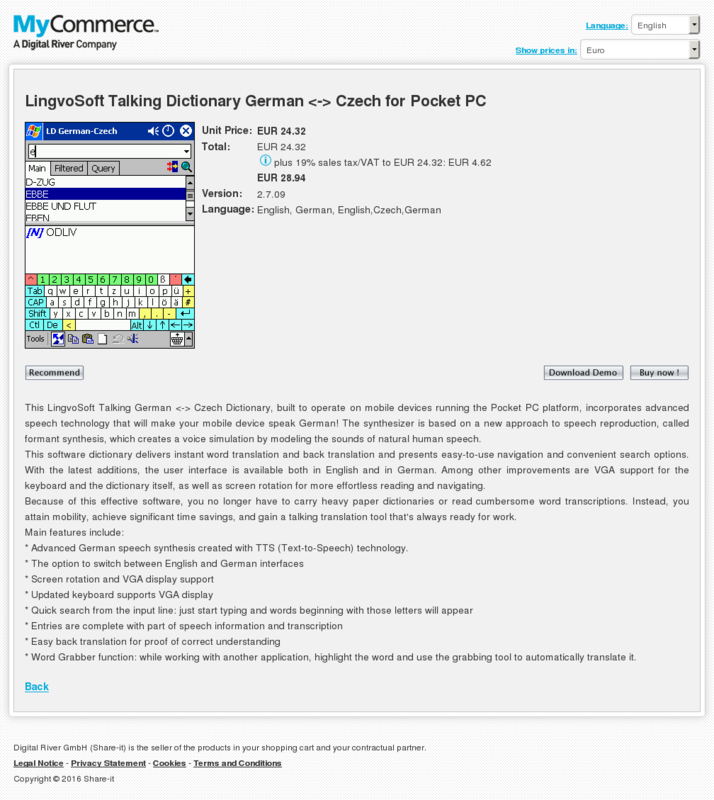 ECTACO Voice Translator is a Russian to German phrase bank with speech recognition capability. Discover the world with the only Partner® Voice Translator! The main function of the VT is substitution of an interpreter for you in such standard situations as registering at a hotel, shopping, visiting the bank, etc. It is a useful tool for those who travel abroad and need a help in communicating with foreigners. 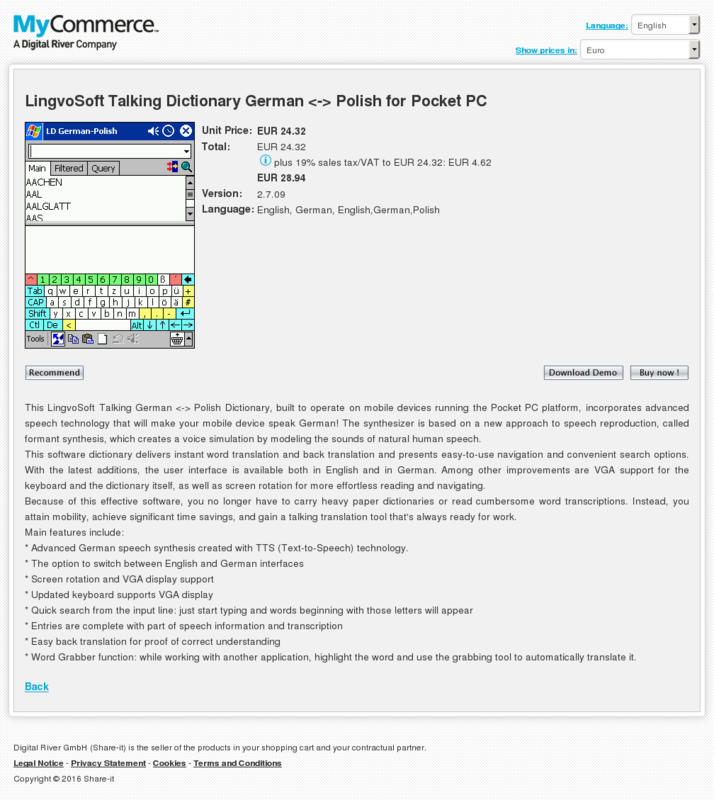 Pocket VT allows you to not only communicate in a foreign language, but to learn it as well. With the VT, you can practice every day and remember phrases easily. With the VT, learning is natural and does not take much effort – by simply listening or repeating the phrases often, you will remember them easily. The VT will make your communication with foreigners easy and enjoyable. Partner® VT contains approximately 3200 phrases. These phrases were especially selected to satisfy 80% of the communication requirements of travelers abroad. 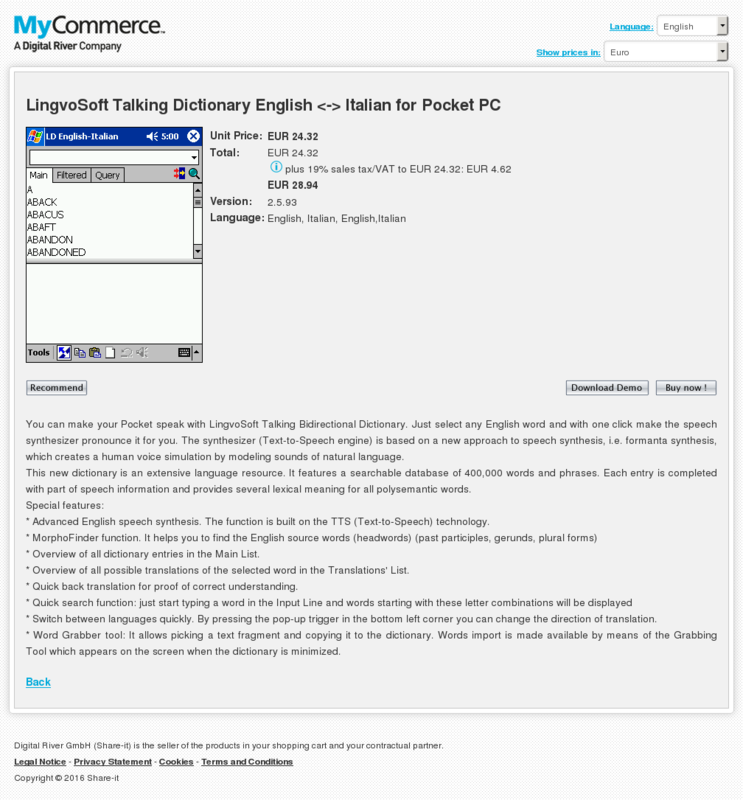 For the convenience of the user, all of the phrases in the Partner® VT are presented in 15 subject categories. You simply choose the appropriate phrase from the list or say it in Russian and your Pocket PC will pronounce it for you in German. If Partner® VT software is not registered, it allows to use phrases only from the "Sport" category. About 3200 common Russian phrases in 15 subject categories (topics). "…The interface is simple and attractive. Phrase categories are provided in a page of easily recognizable icons , making it easy to jump quickly to phrases you are searching for. …I was amazed by how well this program worked. …The translations were clearly understandable from several feet away through my HP Jornada’s speaker set at its highest volume." "…the real benefit that I see is to learn another language. …Universal Translator will be your at home teacher, saying the sentence as many times as necessary. …I found the program to run smoothly and perform admirably." 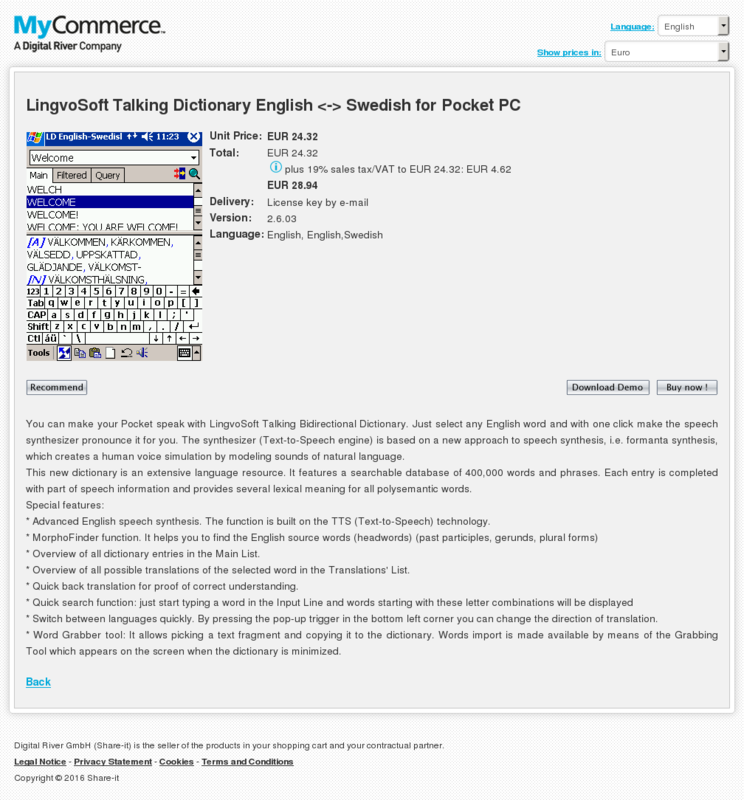 Join the World with the Partner® Voice Translator for Pocket PC! To get more information about products of ECTACO, Inc visit www.ectaco.com. ECTACO Voice Translator is a Russian to English/French/German/Spanish phrase bank with speech recognition capability. You simply choose the appropriate phrase from the list or say it in Russian and your Pocket PC will pronounce it for you in target language (English, French, German or Spanish). Four target languages (English, French, German and Spanish). * Overview of all possible translations of the selected word in the Translations’ List. 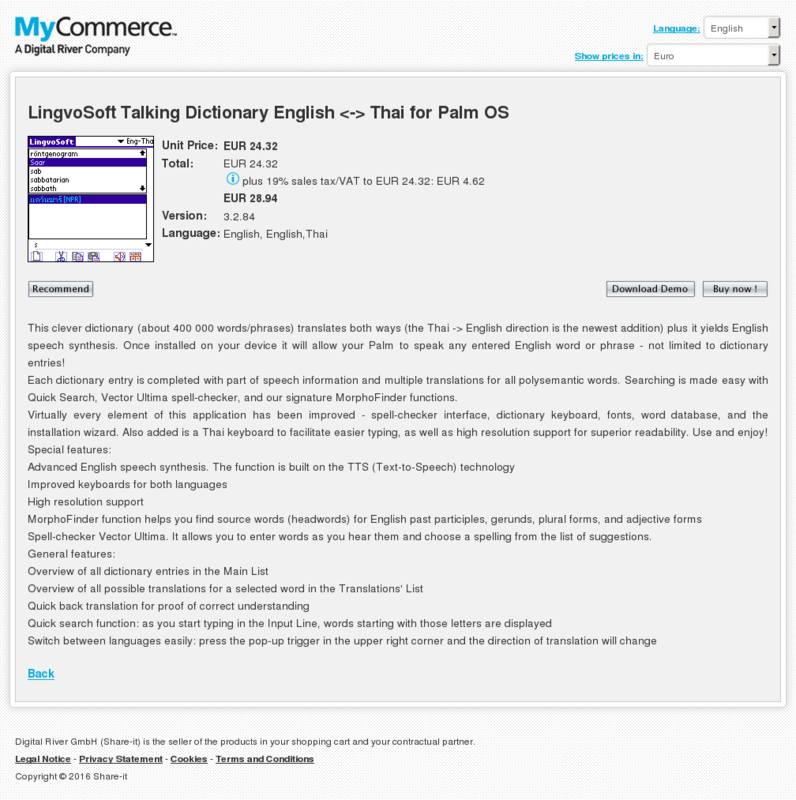 This clever dictionary (about 400 000 words/phrases) translates both ways (the Thai -> English direction is the newest addition) plus it yields English speech synthesis. 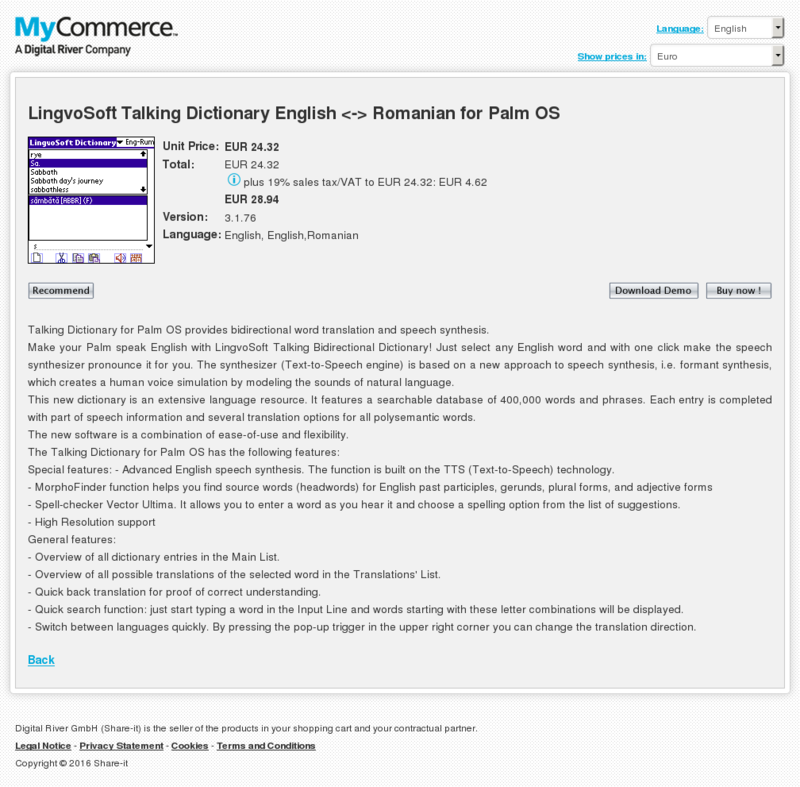 Once installed on your device it will allow your Palm to speak any entered English word or phrase – not limited to dictionary entries! 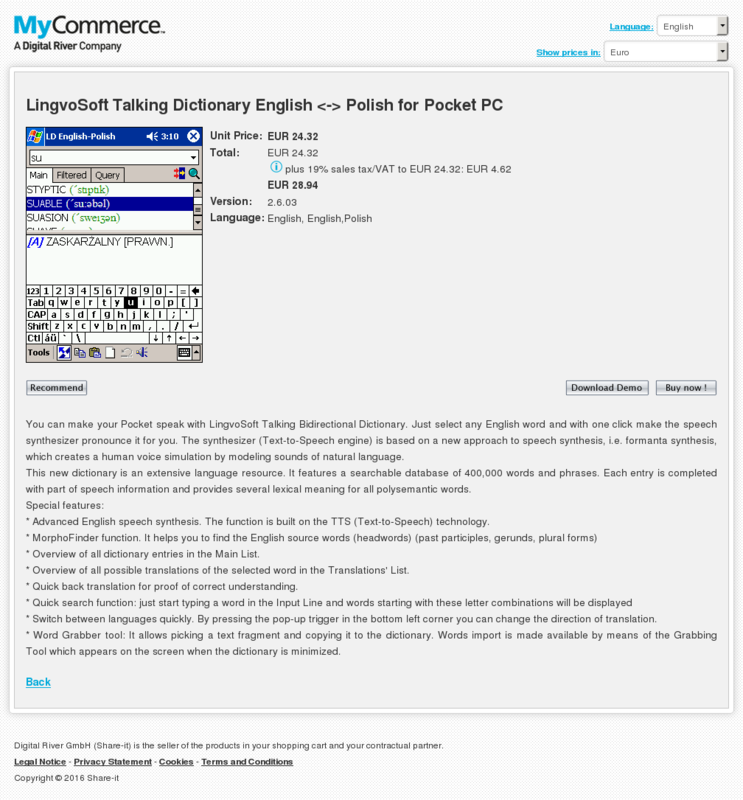 Virtually every element of this application has been improved – spell-checker interface, dictionary keyboard, fonts, word database, and the installation wizard. Also added is a Thai keyboard to facilitate easier typing, as well as high resolution support for superior readability. Use and enjoy! Spell-checker Vector Ultima. It allows you to enter words as you hear them and choose a spelling from the list of suggestions. Talking Dictionary for Palm OS provides bidirectional word translation and speech synthesis. Special features: – Advanced English speech synthesis. The function is built on the TTS (Text-to-Speech) technology. – Spell-checker Vector Ultima. It allows you to enter a word as you hear it and choose a spelling option from the list of suggestions. – Overview of all dictionary entries in the Main List. – Overview of all possible translations of the selected word in the Translations’ List. – Quick back translation for proof of correct understanding. – Quick search function: just start typing a word in the Input Line and words starting with these letter combinations will be displayed. – Switch between languages quickly. By pressing the pop-up trigger in the upper right corner you can change the translation direction.